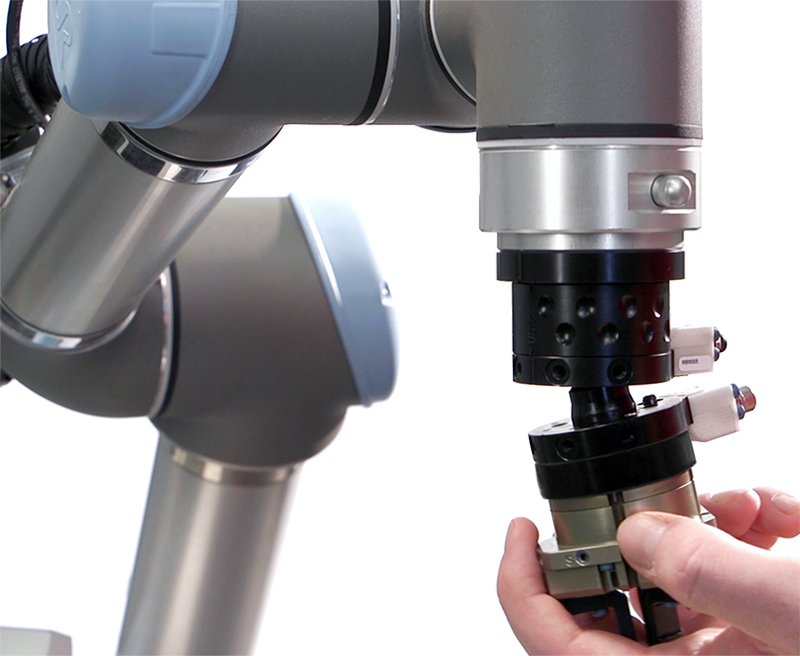 ATI Industrial Automation is a world-leading developer of robotic accessories and end-of-arm-tooling. Our expertly-engineered, productivity-enhancing solutions elevate automated processes through the integration of multi-tasking, collision detection, force sensing feedback, robotic material removal, compliance, and more. Simply put, ATI’s end effectors allow customers to do more with their automated processes. PACK EXPO provides ATI with an opportunity to introduce our efficiency-enhancing solutions to packaging industry players. Automation and robotics are playing a significant role in advancing packaging technology and this show allows us to showcase our own flexible solutions and to observe trends and troubleshoot common problems customers face in the industry. ATI brings the MC-10 Manual Tool Changer and the new Universal Compliance Compensator (UCC) to PACK EXPO 2018. The MC-10 provides a simple yet robust solution for quickly changing tools by hand. The UCC offers X-Y Lateral, X-Y-Z Rotation, and Z Compression to compensate for positioning misalignment. It is always exciting to walk the show floor and take in the creative demonstrations from our industry partners. A few of the special events we look forward to this year include the Packaging and Processing Women’s Leadership Network. ATI is proud to have many strong female leaders within our organization, and we love to see female empowerment on an international level. Of course, the Innovation Stage will be a hot destination for our show staff as well. ATI Universal Compliance Compensators (UCC’s) could offer robotic labeling systems a competitive edge. Integrating the UCC allows one robot the capability to place any label in any location on a package or pallet load. ATI’s UCC improves quality and uptime by compensating for skewed packages, sensing contact with the package, and offering adjustable label application pressure. Collaborative robots have a lot to offer this market due to their high flexibility and safety as well as ease of use. 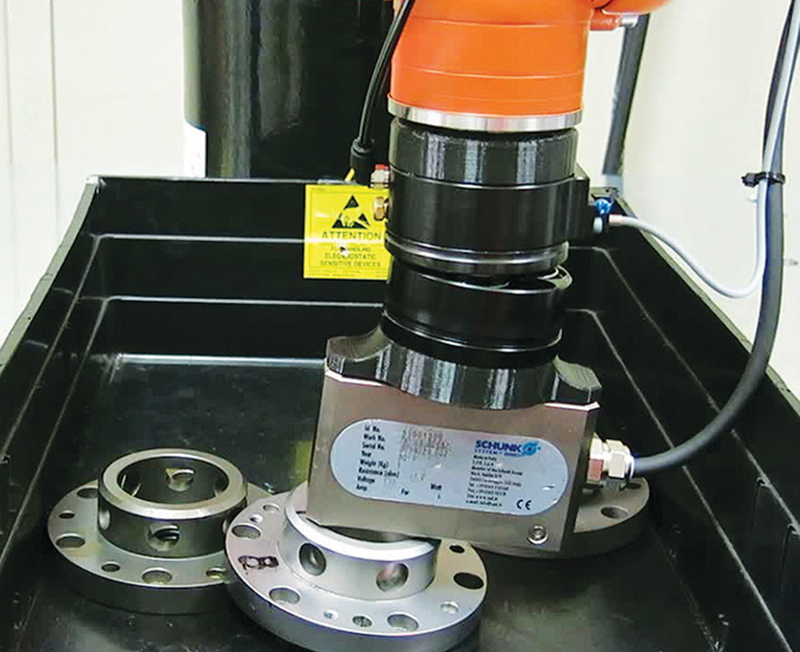 ATI has developed a new manual tool changer, the MC-10 that is ideal for cobot applications. The MC-10 provides a durable, efficient method of changing tools by hand, thus enabling the execution of many tasks using multiple end-effectors within the same process. It handles payloads of up to 10kg and includes an option for passing utilities to the application with an add-on electrical module.